Most teachers hand out treats to their students on Halloween. Teachers should take this opportunity to make those trick or treat bags a learning experience. There is no reason education and fun cannot be combined. *Note: Teachers, this is going to cost you some money to put together. The more students you have the more it is going to cost. Make your goodie bags. Count how many students you have and then get out that many small brown bags. Write each student's name in either block letters or bubble letters with a marker. 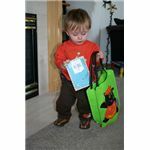 Decorate the bag with some Halloween stickers or stamps. Each bag can be different and more suited to that students particular personality. For a History lesson you will need a few gummy mummies for each goodie bag. Each mummy should have a note attached that lists an important fact about mummies. One note can call the children to action. Have the student look up what cultures use to make mummies. You could also ask "When was the first mummy discovered?" Let your students know that a good website to learn about mummies from is called Wikipedia. Wikipedia is an online encyclopedia. For an Arts and Crafts lesson you will need a box of green Jello and two gummy eye balls for each goodie bag. Each box of Jello should have a recipe for creating the eyeball soup. You will need to place a warning on this one since part of the instructions calls for extremely hot water. Parents will need to help children out with this step. There is a recipe on the Jello box for how to make the Jello and then the students need to know to add the gummy eyeballs before refrigeration. For a Science lesson you will need a Hershey bar in each goodie bag. Halloween is known for excessive candy so adding a Hershey bar to each bag would be perfect. You just need to make sure that the Hershey bar is plain and that is the kind that is divided up in to squares inside. You will need to add the terms of the science experiment to the candy bar by way of a piece of paper. Each child is to eat half of his or her candy bar and give the other half to a family member. That person must eat half of the candy bar piece that you gave them and then give the other half away. This continues on until the candy bar is gone. Have the students find out how many times can the candy bar be broken in half. This lesson gets really fun when you are running out of candy to break in half. For Math insert a candy bracelets or a candy necklace in to the goodie bags. These bracelets and necklaces have tons of bead that can be eaten. That makes them perfect candidates for some Math word problems. You create the word problem and attach it to the necklace or bracelet. Make sure the Math problem is written to the children. Here is an example problem for you to use, "You have a necklace with 25 beads. If you ate 13 of the beads how many beads would you have left?" The student can then eat 13 beads and get the answer to the problem or he or she can write the answer out on the piece of paper. Suggestions: Include a question or task for each subject you currently study in your classroom. This could include Grammar, Gym, and even Music which are not listed above. 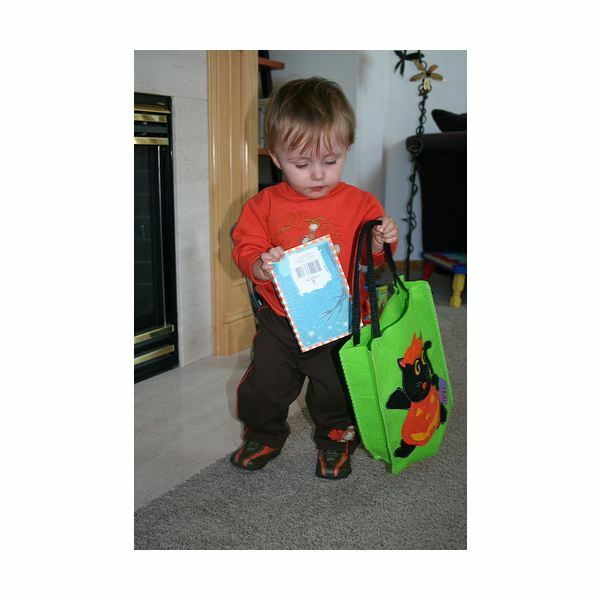 Find a piece of candy or Halloween symbol that you can put in the goodie bag that would go along with the subject.